Tag! You're It! | Smith Wilbert Inc. There is no point in making a quality product if you can’t prove it. Here at Smith Wilbert, we take quality control very seriously. 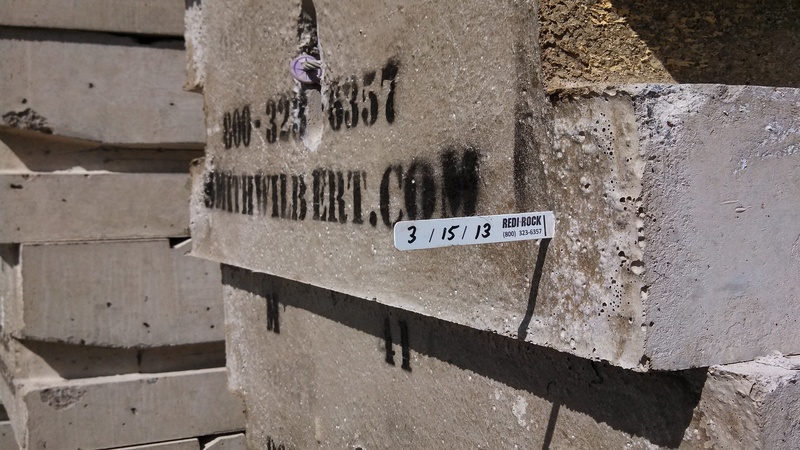 Since March 7th, 2013, all Redi-Rock blocks manufactured by Smith Wilbert have the date they were born. That date directly corresponds to a quality control checklist to ensure traceability for all of our blocks. How many other manufacturers can say that?